This week's edition of The New Yorker has an article by Rebecca Mead entitled The Percy Jackson Problem. To the uninitiated, i.e., those of you who don't have a teenager in your life, Percy Jackson is the lead character in a fantasy series based on Greek mythology written by former middle school teacher Rick Riordan. The series has become all the rage with a certain set of middle school readers. I was introduced to the Percy Jackson books when I volunteered to accompany my granddaughters, Kaitlyn and Allison, to a reading that Riordan was doing at the local high school. You would have thought that Elvis was in the building for all the squealing that accompanied every word that Riordan spoke. In The New Yorker article Mead asks the question, "Is it OK that kids are reading these admittedly low brow formulaic books or should they be reading richer, more challenging texts?" This question has particular relevance today with the Common Core State Standards call for children to be reading more complex texts in order to be "college and career ready." Mead cites award winning children's writer Neil Gaimon, author of such popular books as Coraline and The Graveyard Book, who comes down squarely on the side of allowing kids to read what they enjoy. In a speech published in The Guardian he said, "The simplest way to make sure that we raise literate children is to teach them to read, and to show them that reading is a pleasurable activity. And that means, at its simplest, finding books that they enjoy, giving them access to those books, and letting them read them." Others are not so sure. Mead also refers to an article in The New York Review of Books entitled, Reading Up, by Tim Parks. Parks says, "I seriously doubt if E.L. James [author of Fifty Shades of Gray] is the first step toward Shakespeare. Better to start with Romeo and Juliet." Parks argues that reading genre fiction does not necessarily lead to reading more challenging texts. Many, if not most people, even those who read a lot as school students, do not advance to richer works by Faulkner or Proust, but continue to read genre fiction and fail to stretch themselves as readers. I think both Gaimon and Parks are correct. First, I believe it is an unqualified good for children to choose to read no matter what the complexity or literary merit of the material. Children could certainly do worse than the Percy Jackson books that have helped my granddaughters to a deep interest in and knowledge of Greek mythology. Among my first forays into reading sixty years ago were the Tom Swift books. Many of my students still report enjoying the Nancy Drew mysteries. 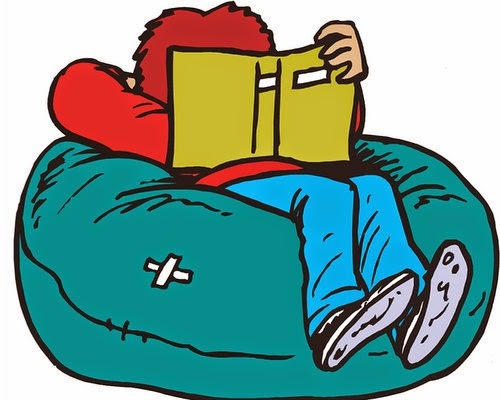 But I also believe, as Parks posits, that just because a child reads lots and lots of stuff, we cannot assume this will lead to deeper and richer reading. If deeper and richer reading is desirable, something else has to happen. The Language Arts teacher must straddle two worlds with children. Those two worlds might be defined as the world of entertainment and the world of edification. One foot, then, must be in the world of reading for pleasure. Students must be encouraged to read widely in books that they enjoy. Teachers should be introducing these books to children, making sure they have access to these books and giving them time to read them in school. Let's call this the independent reading part of the curriculum. I believe that kids that are readers are more likely to be open to reading that may be more challenging. By definition though, this more challenging reading will require teacher mediation. No matter how engaged in Percy Jackson a reader might be, reading Homer is going to need mediation. No matter how much R.L. Stine kids read, they are still going to need help with Kafka and no matter how much they love teen romances, they will still need help with Romeo and Juliet. Teachers can assist children in making these leaps by connecting the more easily accessible texts to the more obscure ones. The knowledge of Greek mythology gained from a steady diet of Percy Jackson can help students relate to the adventures of Ulysses. The conventions of the teen romance (parents who don't understand, the need for friends to confide in, the desire to escape) can find echoes in Romeo and Juliet. The Language arts teacher would do well not only to know the books in the curriculum, but also the books that kids are actually reading that undergird the curriculum. Secondly, I think that teachers would do well to read aloud large chunks of difficult text. Through read aloud the teacher can scaffold the learning through modeling her own thought process, note areas where students are having difficulty and talk the students through obscure passages. Finally, the teacher should provide opportunities for the students to struggle with some of the challenges presented on their own. Ideally, since understanding is so often socially constructed, this would happen in structured discussions where the students grappled with thorny text problems in small groups to see what best possible understanding they could come up with as a community of readers. Enthusiastic voluntary reading may not lead to a nation of adults clamoring for the discovery of a new James Joyce novel or T.S Eliot poem, but it is a necessary prerequisite for developing a nation that views reading as a worthy form of entertainment and enrichment. The trick for the teacher is to balance the pleasure of open choice reading with the strenuous effort needed to understand and enjoy richer literature. Killing the joy of reading in the name of reading texts of greater complexity will be a Pyrrhic victory. Better to focus on nurturing the joy while nudging the complexity along. No matter what the complexity, I have to believe that a reader will be more "college and career ready" than a non-reader.